The Green Party will always struggle to compete against the National Party because of our evidence driven policies and being sticklers for good process. New Zealanders on the whole love fantasy and excitement, which is why we have embraced The Lord of the Rings and The Hobbit so enthusiastically. 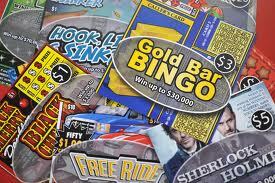 We also like to gamble and the TAB and Lotto are a huge part of our culture. To their credit, the National Party understand this well and have developed a style of governance that is an exciting blend of fantasy, fairytales and unpredictability. Life under a National led Government is like a huge roller coaster of excitement, pay is managed by a lottery, we never know which SOE or government system is going to collapse next, what ministerial incompetence will be revealed or what excessive payout will go to another exiting CEO. The Greens will always struggle to compete with this kind of knife edged adrenaline rush. John Key, Bill English, Gerry Brownlee and Steven Joyce tell great yarns. No story worth its salt sticks to the facts and these guys have embellishment and pure fantasy woven skillfully into every speech. They understand that the truth and facts are boring as hell and people love the instant excitement of pulling rabbits from hats. Trialling things and following good process takes too long, throwing random stuff at a problem until something sticks is far more exciting and it always appears as if something is happening. National know that New Zealanders are an impatient lot and would rather see some action then wait for a sensible but longer term solution. This fits with our enthusiasm for hit and miss inventors and support for people who just give things a go (and to hell with the consequences). The Lord of the Rings celebrated not only our amazing natural environment but also visions of palaces and castles. The huge multi-million dollar mansions being built by our growing group of wealthy are not questioned as we embrace the idea of a southern Hollywood. The fact that most of us will never live in one of these mansions (even owning a house is a luxury) is less important than having our own celebrity culture to keep us entertained. I'm hoping that by 2014 that the party debris and hangovers from the last two terms will be enough to jolt voters into seeing sense. Meanwhile I'm off to see if I will be paid this week and be entertained by magical illusions provided by the touring RMA Road Show.